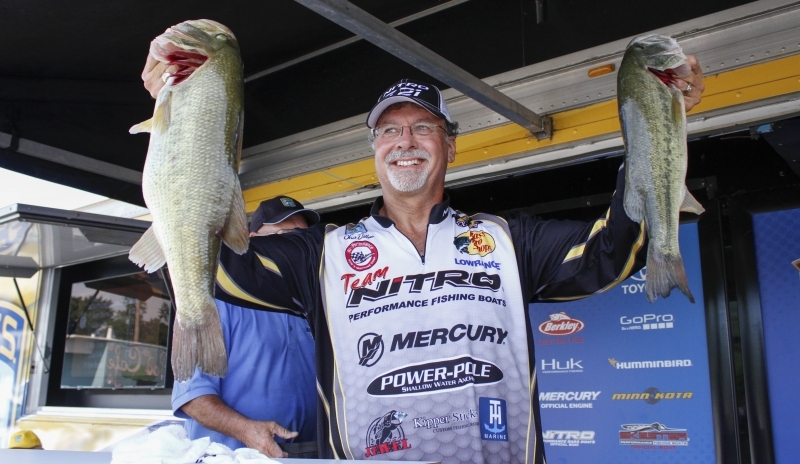 Chris Dillow is a humble man given his success over the years with both the Bassmaster's and the FLW. He has won many trophies and money for both Angler of the Year and Co-Angler of the Year in both of these great fishing tournament series. The Rod Glove Chris Dillow has had many events that would keep others back but he has embraced these challenges and this strength is what has kept Dillow dominant in his tournament winnings. Chris's attributes his success in these competitive tournaments to his faith in God, and also to his parents and family. He was adopted in Germany at the age of only 10 days old along with his twin brother Curtis. His father Charles Dillow was in the military at the time and stationed in Germany. Both him and his wife decided to adopt both boys to keep them together. From that moment on, Chris's life changed exponentially. His new adopted parents moved to the USA and after some time in Tennessee, they settled in Virginia. Chris learnt the love of fishing from his Father who took both him and his brother to Shenandoah River and taught him how to cast a line, and also how to catch fish. Having a competitive nature, Chris enjoyed tournament angling early on and his first major win came in 1989 when he won a Federation tournament on the Potomac River. He has maintained that family and work have always been more important to him than to be a full time pro angler. As a real estate agent, he has proven himself and has been the top listing agent several times at Augusta County Realty. Chris Dillow competes throughout the season in both the FLW Walmart and the Geico Bassmaster Series. He will be competing in the upcoming 2016 Bass Pro Shops Northern Opens on Lake Champlain in Plattsville, NY. We wish Chris the best of luck but we are pretty sure that he will be flipping his "Dillow Perfect Jig" somewhere looking for the winning largemouth bass in order to qualify for the 2017 Geico Bassmaster Classic. The Rod Gloves are an essential product to have as they protect my eyelets when my rods are bouncing around both while travelling and also in my rod box. They keep me organized during a tournament and I have them on all of my rods.